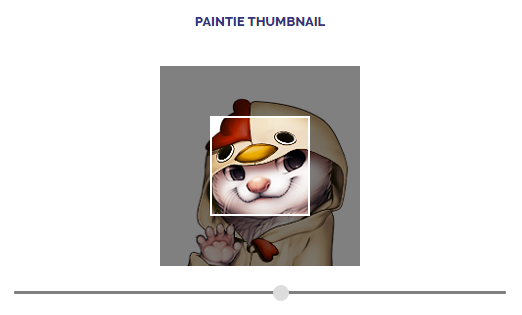 When you submit a paintie﻿, you are given the option to adjust the thumbnail image after choosing a file. You can adjust the position by dragging it around, and you can adjust the zoom of the image with the slider underneath or the scroll wheel. 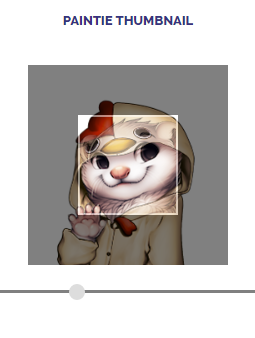 You might have noticed that while the window is square, most villager thumbnails as it stands on FurVilla are circular. 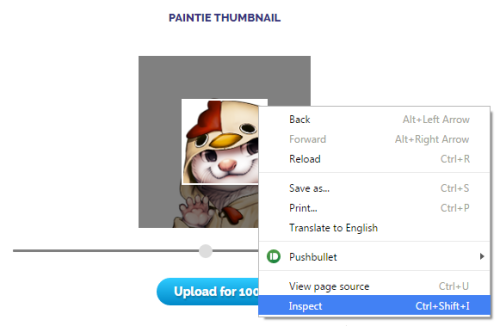 Furthermore, there's no way to line up the thumbnail of your paintie with the default thumbnail. To get that perfect crop and ensure nothing clips out when your thumbnail is round, follow these steps. 1. Right click on the thumbnail box inside the actual thumbnail, and click Inspect. This should open up, and it’ll let you temporarily edit the webpage. That’s not what we want to be editing, so click the line that should be right above that. You’ll know it’s right because hovering over it should give the thumbnail box weird colors and such. 3a. 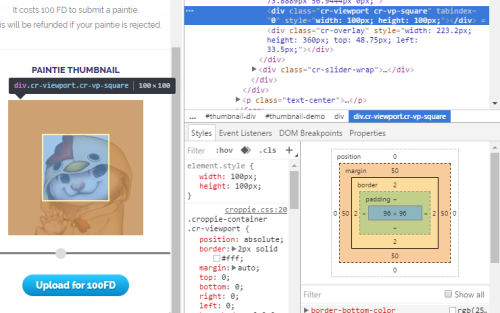 (round thumbnail) Under the “Styles” tab, just add “border-radius: 100%;” between the brackets of “element.style“. 3b. (default thumbnail overlay) Find the current thumbnail of your villager (go to your profile, right click the thumbnail + copy image address). 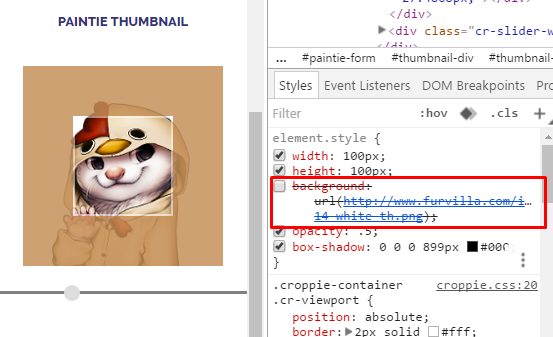 In this case, it's "http://www.furvilla.com/img/villagers/0/88-14-white-th.png". 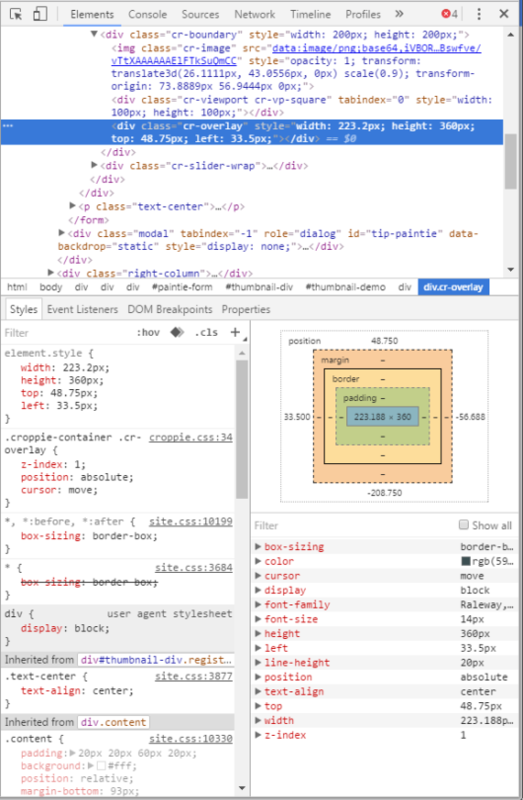 Instead of adding "border-radius: 100%;" as detailed above, add "background: url('IMAGE_URL'); opacity: .5; box-shadow: 0 0 0 899px #000;", replacing IMAGE_URL with the correct link. Go ahead and adjust until things line up.